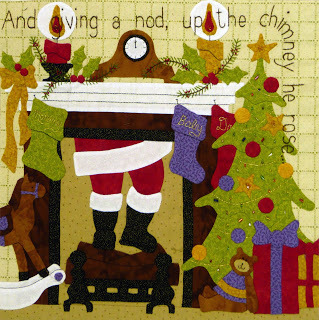 Designed by Sue Garman. 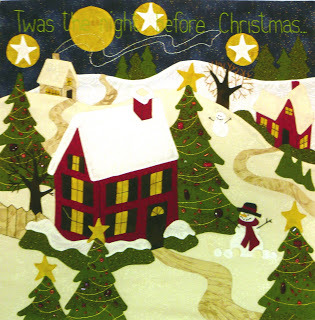 The Night Before Christmas is a classic poem which stirs memories in nearly everyone. 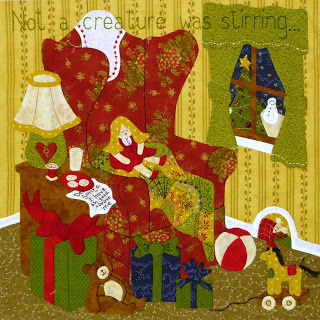 In this quilt, Sue Garman has taken Clement C. Moore's poem and depicted it, line by line, in a wonderful, warm way. 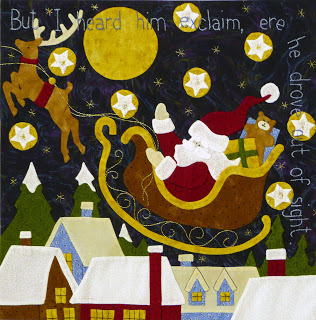 The pattern is a gift to all of us who love lifting up the tradition of the night before Christmas, when children's anticipation is palpable. This appliqued quilt is bursting with energy and activity ! When you look at the blocks close up, you can see the many thoughtfully placed details that add so much to the overall effect of each block. 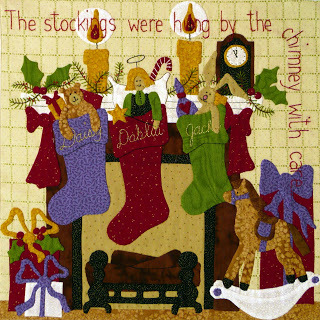 The quilt can be personalized in the most special of ways by adding the names of family members to the stockings hanging on the mantel. 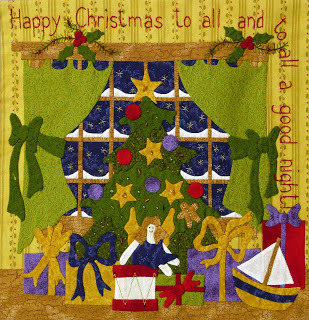 There are also many opportunities for embellishing this quilt, with beads and buttons on the trees, toys, and more. 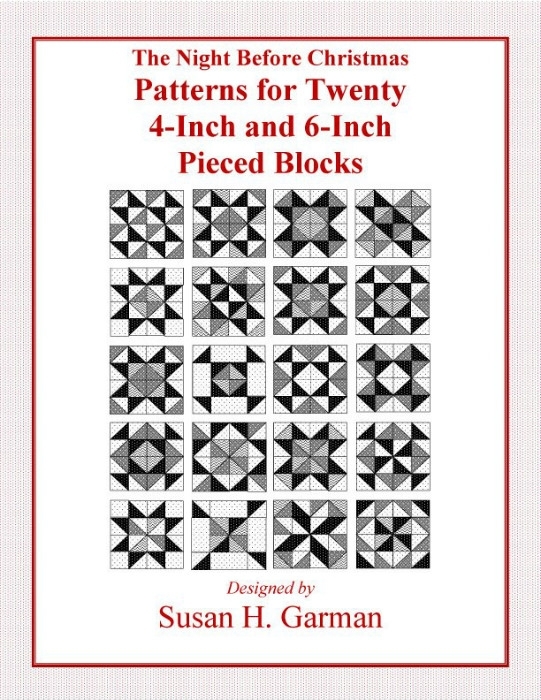 It is just a fun quilt to make! 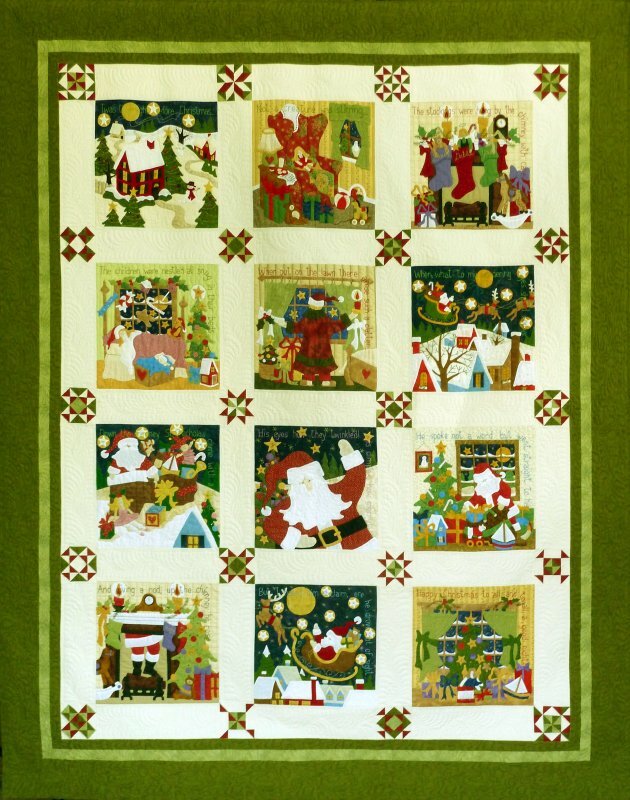 To make the quilt as shown here, you will also need a separate pattern that is available for all of the cornerstone blocks that we also have, but is not included in this pattern set - The Night Before Christmas Pieced Cornerstone Blocks by Sue Garmin SG-TNBCPB.